Check out Tobi's Falling For You Floral Ruffle Print Romper Set Add to your closet the Falling For You Floral Print Romper Set. Featuring a two piece set with a floral print. Pair with summer wedges. Add to your closet the Falling For You Floral Print Romper Set. 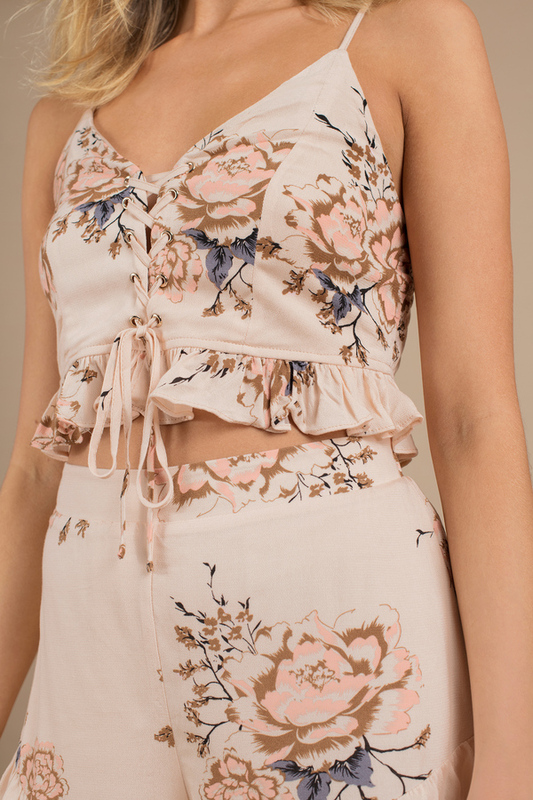 Featuring a two piece set with a floral print. Pair with summer wedges.